"Sphere will emerge as one of South Africa's leading investment holding companies." Ushana joined Sphere in March 2012 as CFO attracted by a smaller environment where she has the flexibility and opportunity to add greater value. She is responsible for finance, operations, HR, IT and risk. She plays a role in Sphere’s transactions where she puts her experience gained in transactional and operational processes to good use. A finance person who takes a holistic view of a company, Ushana enjoys getting to grips with different businesses as well as identifying opportunities to introduce efficiencies. Prior to joining Sphere, Ushana was CFO of the RMB’s Private Equity Division, a role she occupied for five and a half years. During her tenure as CFO, she was responsible for finance, risk and operations for the division. She completed her Bcomm Honours in Accounting 2001 at the University of Natal. 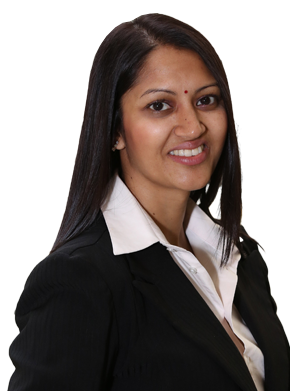 She then joined PricewaterhouseCoopers’ Durban office as an articled clerk where she qualified as a CA in 2005.